Wrinkles, fine lines, and the loss of volume are all signs of aging that can be combatted with injectable dermal fillers. The aesthetic team at Nouvé Med Spa can help you achieve smoother, fuller skin with products such as Juvederm® and the entire line of Allergan fillers. Call the office or book online to find out how you can look more radiant and youthful with dermal filler injections. Dermal fillers improve the appearance of your face by plumping the skin and adding volume. At Nouvé Med Spa, the team uses the Allergan product line, specifically Juverderm. Juvederm is known as a hyaluronic acid filler. Hyaluronic acid is a natural compound that your body produces to moisturize, soften, and plump your skin. As you age, your production of hyaluronic acid decreases. Replace it with Juvederm products to get youthful results. What aesthetic issues can dermal fillers address? As you age, your face loses subcutaneous fat and the skin loses its volume. The result are fine lines and wrinkles that become more prominent. Plus, you may start to lose volume in your cheeks and lips. Several different Juvederm products are available and each is specially formulated for use to address specific cosmetic issues. For example, Juvederm XC treats moderate to severe parentheses lines around your nose and mouth and Juvederm Volbella adds volume to your lips and softens lip lines. The expert team at Nouvé Med Spa can evaluate your face and review your aesthetic goals to determine which formulas are best for you. Because a fine needle is used to inject dermal fillers, you feel minimal pain from the injections. Some formulas contain lidocaine, a numbing agent, to reduce pain, too. Most patients tolerate the treatment well, but if you’re concerned about the sensation, ask about topical numbing creams and ice to ease discomfort. How soon will I see results from dermal fillers? You see the results of dermal fillers immediately following treatment. Each treatment session takes anywhere from 15 to 30 minutes, depending on how many areas you’ve chosen to address. There is no downtime following dermal filler injections; you can go right back to your everyday activities following a session. The wrinkle-reducing and volumizing effects of dermal fillers usually last one to two years, depending on the formulas used. 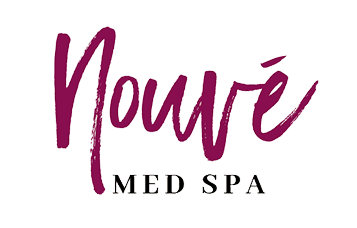 To maintain your results, set up a regular schedule of treatments with the team at Nouvé Med Spa. For more information about how dermal fillers can make you look years younger, call Nouvé Med Spa or book an appointment online.